I Am Letting Go – It is comforting to know that it was never required to save anyone, change anyone or try to help anyone get better. By seeing only what is missing, or what is not there I am only producing more of what I was trying to avoid. These highly evolved and expressive Chocolate Brown Silk Tassel Earrings with Silver Cap are handmade through global collaboration. These Chocolate Brown Silk Tassel Earrings with Silver Cap are fully charged symbols of hope and inspiration, giving you the power to think, act, and feel connected. 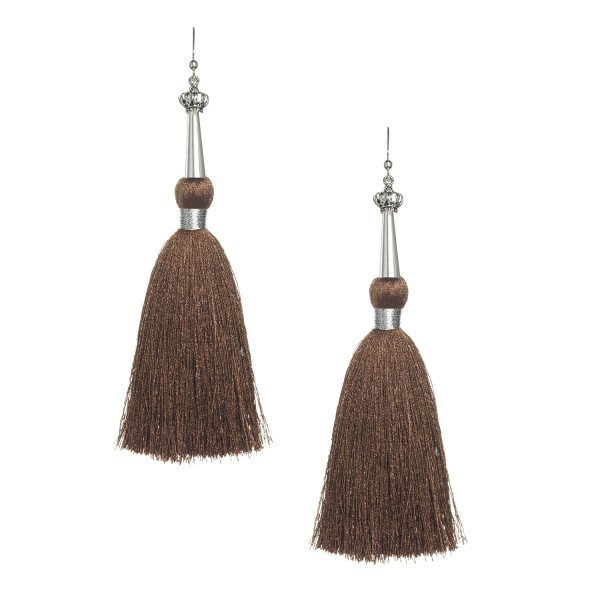 Allow these Chocolate Brown Silk Tassel Earrings with Silver Cap to transform, elevate, and inspire you to be all you can be in the world.